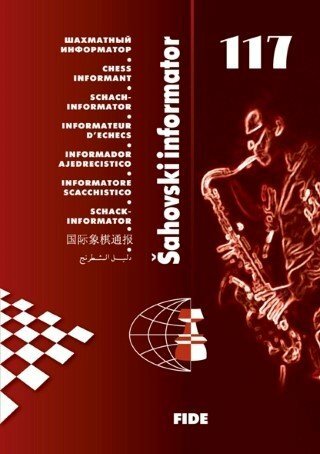 Intro The Chess Informant series has dramatically changed with the introduction of a larger amount of English language-based content. Now it goes a step further. 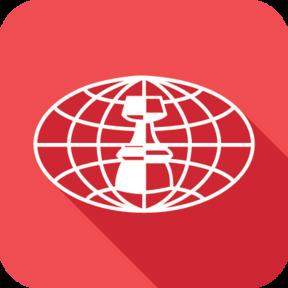 Next to the Garry's Choice column, by 13th World Champion Garry Kasparov (often described as the best chess writing in the world today), and along with a column by well-known author Mihail Marin, there are many new features, signed by notable grandmasters and experts. This is fifth Kasparov's column in a row. In previous articles he revealed some of extraordinary games, true unknown gems, recently played all over the world. Now he is back on the main stage. Under his scope is the game Svidler-Grischuk, the fighting draw from the 2013 London Candidates' Tournament. If you think that everything about this great event is already said, just sit back and read these annotations by the greatest chess authority of our time. But do not forget that at the same this is the story about Garry Kasparov's beloved King's Indian Defense. A lot of praises regularly goes to Romanian GM Mihail Marin for his Old Wine in New Bottles column in every Chess Informant. It is educational, it is deeply analyzed, but above and beyond everything it is amusing to read. His new lesson, called Spanish Knights, will contribute to your understanding of the knights-driven attacking scheme in Ruy Lopez. He elaborates the theme through six games starting from 1869 to the contemporary ones. Once again, Marin is proving that every new idea is actually a long-forgotten one. New Columns Who are new columnists? Adrian Mikhalchishin is a well-known trainer and the chairman of FIDE Trainer's Commission. Not by surprise, in Informant 117 he brings several short Stand Up and Fight lectures for players who are aiming to reach the highest peaks. Alexander Ipatov is the representative of a new generation of chess grandmasters. He is the World Junior Champion and a professional who travels from tournament to tournament. Alex is also the brave young man who is not afraid of any challenge, including the bungee jump that he recently conducted at the 233 metars high point of Macao Tower. In his inaugural column, intentionally called Have no Fear, the Ukrainian-born member of the Turkish national team deals with the secrets of rook endings from his own practice. In Volume 117 our columnists present you their personal view about some biggest chess events from the most recent period. In the Bossa Nova style, Brazilian GM Rafael Leitao dissects openings from the 2013 Candidates Tournament. American IM John Bartholomew shows us Inspiring Moments from the US Championship (Saint Louis 2013). In the special edition of CI Labs, Serbian GM's Ivan Ivanisevic and Milos Perunovic present comprehensive opening reports from the very same event, the European Championship. Ivanisevic was among the participants; but unlike previous times, he failed to qualify to the World Cup. There is one good point from this fact - he did have time to take a closer look at the tournament. So in the opening review there are several ECO lines: B48, B94, C09, C45, D10, D17, D43, D97 and E32. From Egypt, a country embroiled in a lot of fire these years, comes a hot story about the 2013 Reykjavik Open. Co-winner GM Bassem Amin, a medical doctor, greatly surprised at this tournament with his result. The newly-crowned African Champion shares his insights from Iceland with the readers in his My Way column. In the standard edition of CI Labs, Ukrainian GM Andrey Sumets searches for a new path through the Closed System of Grunfeld Defense (ECO D94).